A few years ago I was watching a cycling race called “Paris-Roubaix”. Around halfway through the race the camera cut to a large group of riders sneaking under a railway crossing which was rapidly closing. It was touch-and-go stuff. Anyone who’s ridden a road bike knows that going over railway tracks is treacherous given the thinness of the tyres on your bike. Nevertheless, these riders snuck under the barrier. Some opted to just stop on the ‘safe side’ of the barrier. A few seconds later, a train sped through the level crossing. It was crazy to think how close some of the riders came to being instantly killed. Surely they saw the train coming? 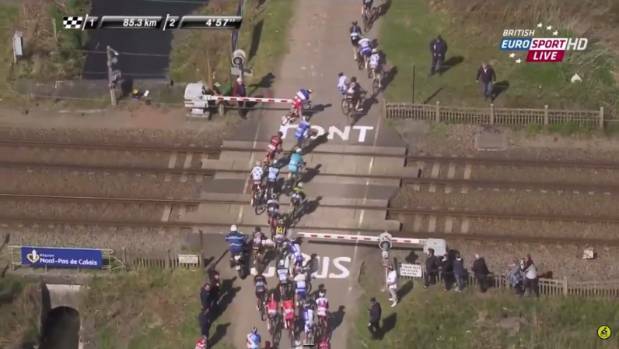 Well, this past weekend Paris-Roubaix was again being raced and once again the riders came to the level crossing. This time, the barriers were safely open and I thought to myself “lucky there’s no train this time”. Little did I know that there wouldn’t be a single train at all that day. The race commentators generously informed me that there were no trains at all running in France that day because all the trains were on strike. That’s quite some industrial action! Every train across the entire country on strike? It turns out, this wasn’t a one off. In fact, this could go on for ages. Apparently, on the 3rd of April, train drivers and other rail staff began a rolling strike, planned for two out of every five days with no end in sight. The question I immediately wanted answered was: why? Mr Macron isn’t proposing taking away those generous benefits from current employees – only new ones would go without these incentives. His rationale is that the State-owned High Speed Rail Company (SNCF) is debt-laden and ill prepared for coming competition under European Union rules. But things are escalating. Apparently Air France staff are also now on strike too! Unions indeed appear to have a lot of room to flex their muscles in France. The question is, will the President’s resolve hold? 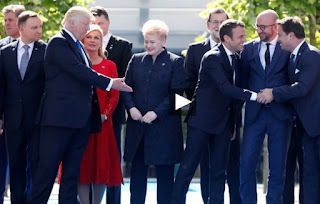 I recall big rejoicing on social media surrounding Mr Macron when he was elected. 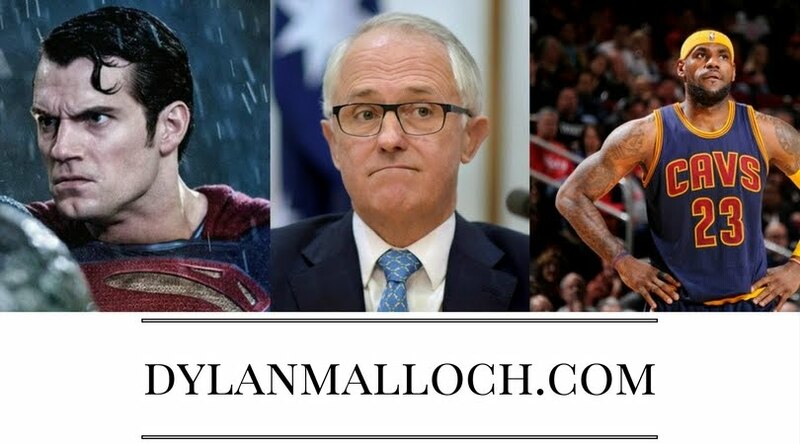 A young(ish) charismatic leader who seemed to snub Donald Trump was always going to enjoy a spike in worldwide popularity. 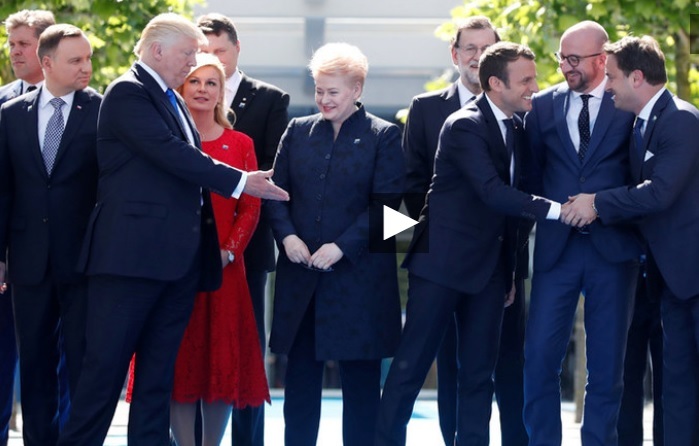 Digging a little deeper it seems that Mr Macron has a goal of liberalising France’s economy and opening things up. I wonder if French culture will trump his economic-liberalist agenda? If he’s to maintain any credibility surely he has to hold his nerve. If he buckles under industrial pressure now his authority will be massively compromised and he will seem weak and inept in the eyes of the public. Any leader’s credibility hinges on their authenticity and integrity. If Macron’s actions don’t match his rhetoric, he is surely doomed to failure. And perhaps there’s a lesson for thought leaders and communicators wherever they may be. If you intend on pursuing an ambitious agenda, do you know what the flow-on effects will be? Does your communications strategy actually take into consideration the myriad responses it will likely generate? Because if you don’t, your ambitious agenda might get steamrolled by an oncoming train.